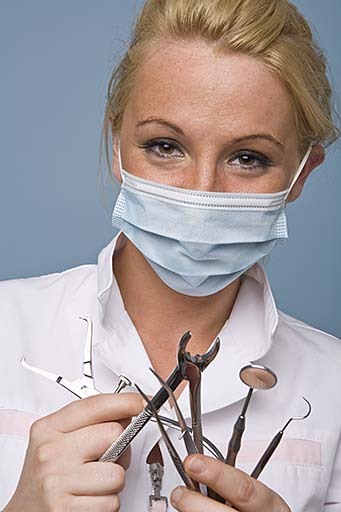 – Raising Cane and Other Stuff | Sometimes the dentist is a lady! Home » Humor » Sometimes the dentist is a lady! Sometimes the dentist is a lady! The female dentist pulls out a numbing needle to give the man a shot of Novocain. “No way! No needles. I hate needles” the patient said.. The dentist starts to hook up the nitrous oxide and the man objects..
« How do you know when your duck is dead?